Another #1 hit from top recording artist Beyonce. 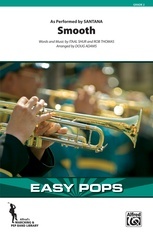 With its strong melodic content and driving rhythms, this is the perfect marching or pep band chart. It's Doug Adams at his best!